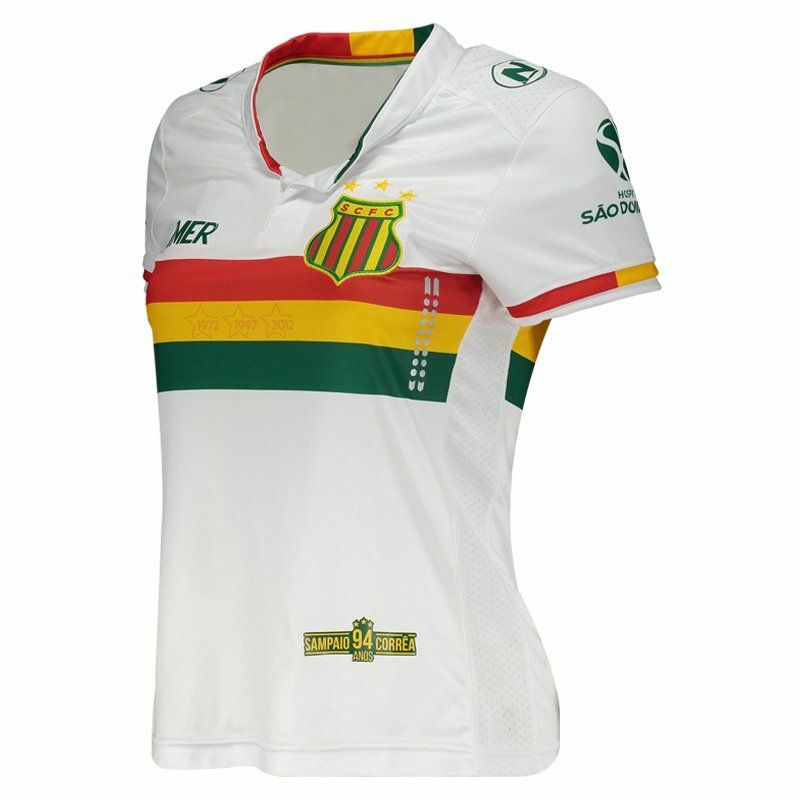 Numer presents the women reserve mantle of Sampaio Corrêa for 2017, ideal for women to wear in games and day to day. 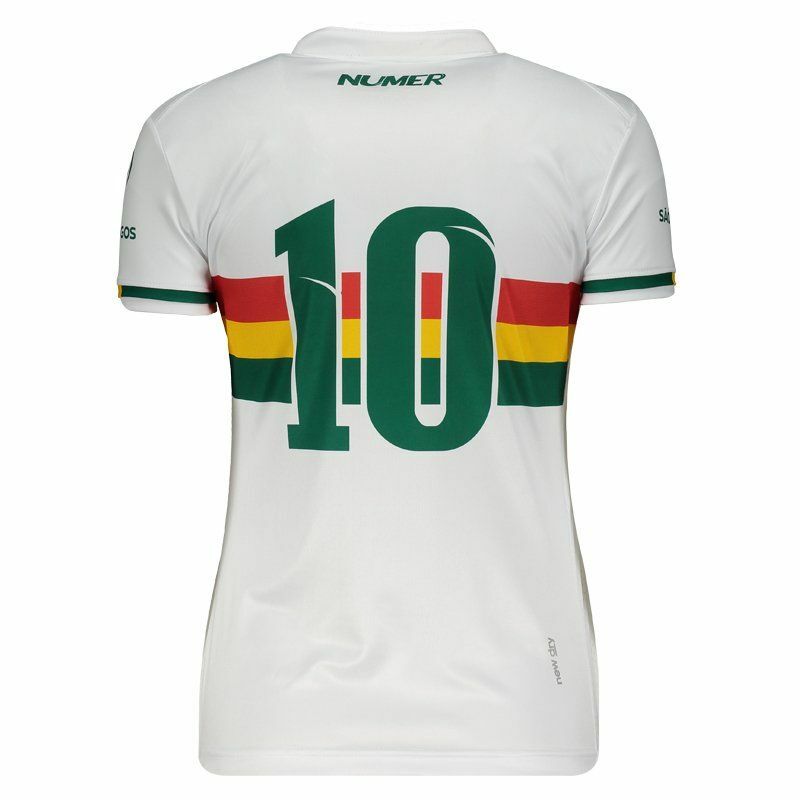 Made in lightweight polyester, the piece comes with a 10 number on the back and offers name customization. More info. 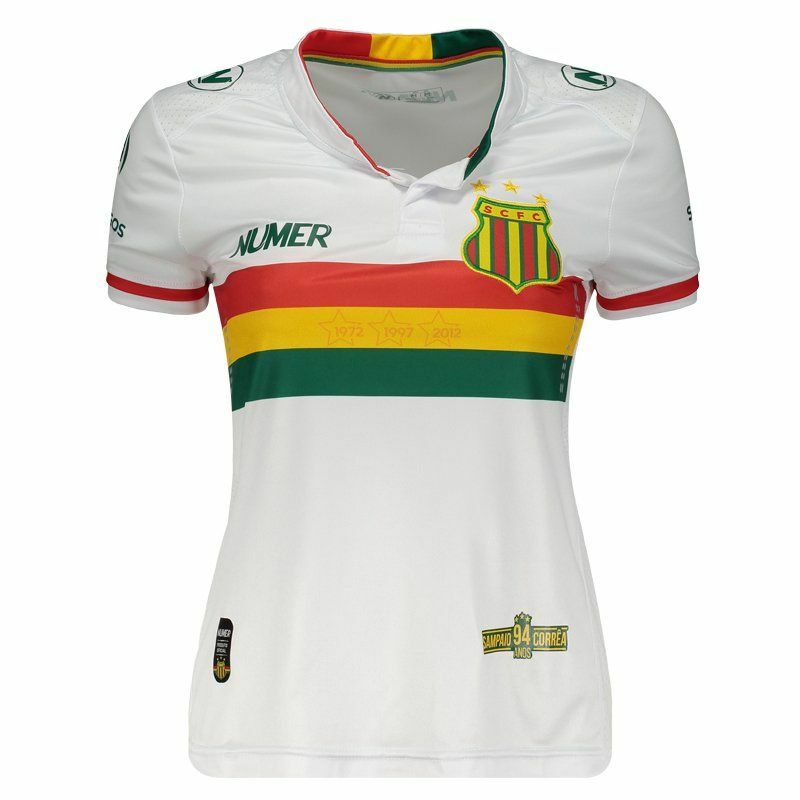 Numer presents the women reserve mantle of Sampaio Corrêa for 2017, ideal for women to wear in games and day to day. Made in lightweight polyester, the piece comes with a 10 number on the back and offers name customization, as well as bringing in its structure New Dry® technology, which offers lightweight, comfortable fabric and provides high absorption of sweat from the body of the fan, dry and stable temperature. 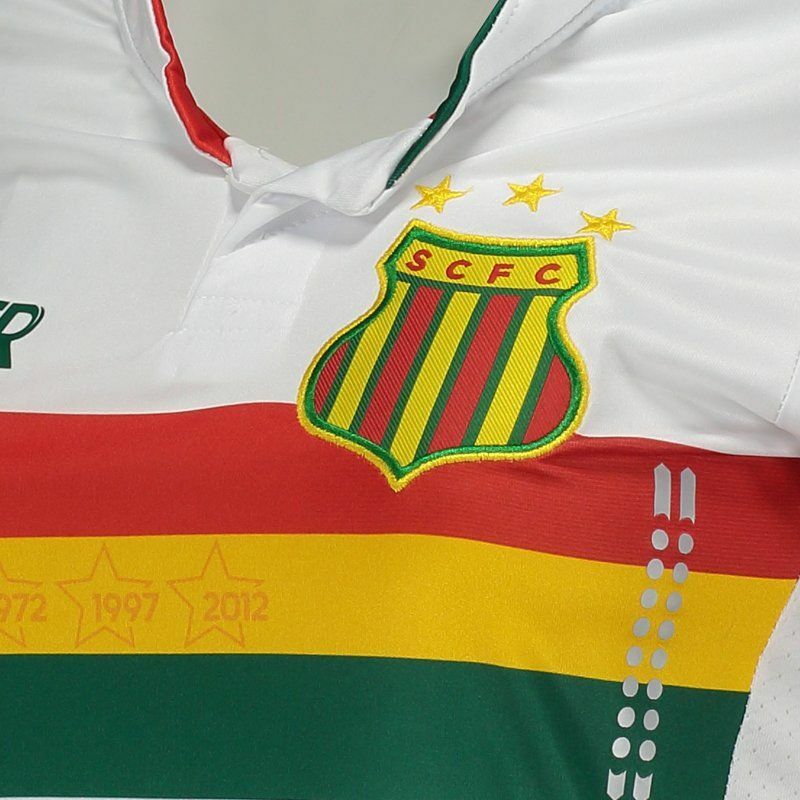 The design has the predominant white color with red, yellow and green details like the horizontal stripes in the chest region, highlighting the team's embroidered badge. There are also three stars that represent the titles of three different national divisions, in the years 1972, 1997 and 2012. Sponsors logos are seen printed and the collar, in turn, is mandarin. Finally, next to the bar, the team's 94-year seal complements the piece.